Apparently Alan Greenspan has gone on record saying a recession may be coming. He doesn’t think its likely (less then 50% chance), but its a possibility. Others (also mentioned in the article) think a recession is far more likely to hit other economies/markets. This got me thinking, if a recession is coming or has hit, what are the best places to put your money in such an environment? Following some Googling, it seems that stock prices are hit just about immediately at the beginning of a recession, so having cash on hand to buy would seem to be a prudent move. Also, since unemployment often skyrockets, having some sort of emergency, easily accessed funds for living would be worthwhile (either in a high yield savings account or with a unsecured LOC set up if you live in Canada). Supposedly 3-6 months is the recommended level of funds. This assumes you’re a wage-slave, if you’re not, congrats – no worries on this front. Clearly if we’re buying stocks at a discount, we want companies that are going to weather the down-turn, so “blue chips” are probably even more appealing in this environment. Luxury spending will decrease, so focusing on businesses that supply the necessities of life would probably be preferably to companies that supply luxury or optional goods (Loblaws might be a better buy then Leons). Moving beyond stocks, with everyone afraid to spend money, what might be some other opportunities for good deals? Real estate will probably be offering good prices (since anyone who needs to sell will have trouble finding buyers). Connected to this, REITs might be on sale (since their inventory will be undervalued, but their future prospects should be good after the recession ends – they provide a necessity, shelter, so they’d probably be worth considering). As much as interest rates sometimes go up during a recession, I don’t think GICs or bonds are the best purchase (as you’ll be heavily taxed on these high rates while inflation will be rampant if the rates skyrocket). These *MIGHT* do ok in a RRSP account, but I still wouldn’t like the bite inflation always seems to take out of them. While buying companies that supply luxury goods is a bad idea, it might actually be a good time to buy luxury goods if you’re able to accurately appraise them, since there won’t be many buyers. If you know how to value artwork, comic books or vintage cars, a recession *may* be a good time to hunt for bargains. Liquidation sales from failing businesses might be another lucrative (if depressing) strategy. As counter-intuitive as it may sound, a recession MIGHT actually be a good time to start a business (assuming you had lots of capital and could keep costs low). You should be able to get a cheap lease at a good location (no competition and lots of sites available), easily hire skilled, motivated employees (high unemployement), cheap supplies (again, low demand), etc, etc. This could be a bit of a dangerous gambit (you’re counting on the recession ending before you run out of money). If you’re *already* a business owner and you have a pair of steel ones, this could be a great time to expand on the cheap. Investing in education, while always a good idea, is even more appealing when the job market is tight. I said to myself that I’d go get my Masters when it became hard to find a job, and that’s exactly what I did when the dot-com boom went bust. 16 months later, when I was coming out of the program, things were starting to pick up again. Some people talk about gold being a great inflation hedge (and maybe its good during recessions too, I don’t know). I don’t like gold. I’m too worried about a cheap method of converting lead to gold being developed and immediately devaluing it. Travel (and other luxury goods for your own consumption – not investments) are also bargain priced during recessions and “states of emergency”. Supposedly you could go to Thailand super cheap during the SARS epidemic. You’re worried about catching SARS if you go? During the height of the “crisis”, people were three times more likely to die of pneumonia than SARS, and even the people who contracted it had an 80% survival rate. SARS was devastating for Toronto tourism, but was basically a non-issue from a health standpoint (far more people died from car accidents than SARS during the “epidemic”). You could have had a very nice trip here during that time (short lines and cheap rates). Thailand was also very cheap after the tsunami, when they really needed the tourism dollar most. My friends visited only weeks after and siad they were treated like gold. They were able to do some face-to-face giving as well. As for SARS, my husband was acutally in China on business smack dab in the middle of the SARS outbreak (he was NOT one of the ones to bring it back! ;)). I was a little freaked but oddly enough, I had to tell him about the ‘epidemic’. He didn’t have a clue! The surgical masks we were seeing on the tele were being worn pretty regularly in Hong Kong for years. Briliant and timely write up. Hence I’m sitting on cash in MM. Am I the only one hoping for a recession/correction in the market and real estate? Nope TKO, you definitely have company! TKO – we had a bit of a ‘correction’ recently – were you able to take advantage of that? 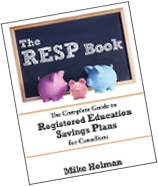 At the moment I only manage my RSP savings. Due to the small size of my portfolio I’m only using MF especially e-Funds for indexing. I did buy 10% stake in PM and 5% in EM and 5% NASDAQ, all on the dip . These turned out very well, so far. However just as the saying goes ‘you win some and you loose some’, my US DOW holding got killed due to the awsome Canadian Dollar. I’m not complaining though, the journey is long my friends. Like a patient hunter I’m waiting for the DOW to tank so that I can pick up lots more at a cheaper price. I’ve printed your article Mike to as a remainder to stay the course when the markets dip. In hope that the emotions will be kept in check. I think the next recession will sort out the Men and Women from Boys and Girls in Personal Finance blogging. Good list. Consumer staples have had a run up lately (the market already anticipating a downturn). Financial stocks usually lead a downturn and head a recovery. I am looking for financial stocks which have good fundamentals but are collateral damage when the market punishes their weaker counterparts. I think to determine whether a recession will truly hurt corporations we must discern where they operate. In order for a recession to truly take it’s toll in the world today, it would probably have to be a global one. The United States is increasingly becoming less significant…althought they are still significant. Start selectively buying recovering firms in all areas. MG – how do you know exactly when the recession begins/ends? Postive GDP for one or two quarters = end. Excellent article. Although it’s impossible for a lay investor like me to predict a recession, one thing I am certain about is that my portfolio has been geared toward high performing stock market for the past few years. It is good to read a post like this, so that I am forced to think about making my portfolio more balanced.